Journal covers fields of pure and applied analytical chemistry, comprising environmental material, agricultural chemistry, geochemistry, food chemistry, biotechnology, pharmaceutical and biomedical sciences, development and modification of instruments and techniques with potentials in environmental sciences. The journal publishes original papers, reviews, current research notes and short communications. Reviews are written on invitation, in case and author wishes to write a review, he/she should contact the Editor-in-Chief for consultation. All papers are subject to peer review by two independent referees. The Journal is supported financially by Higher Education Commission of Pakistan (HEC). 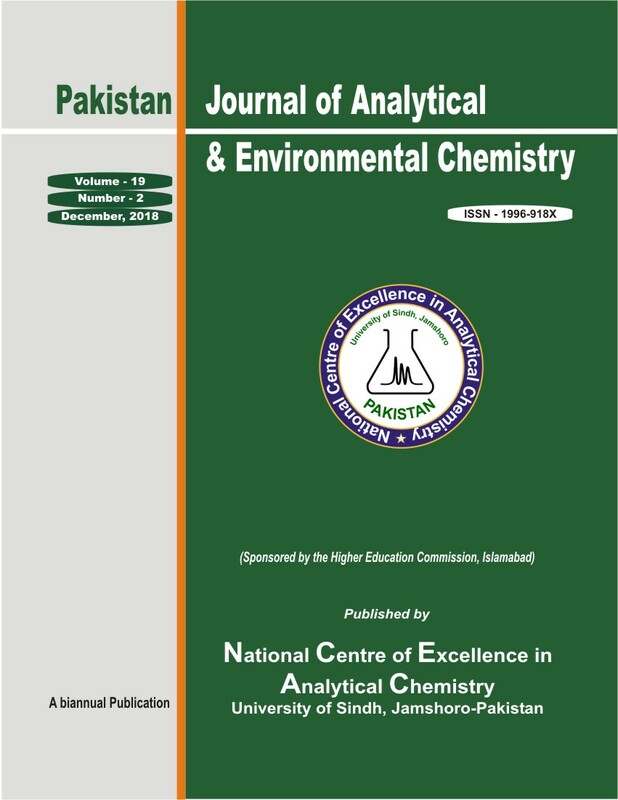 The Journal is recognized by HEC as Science Journal under category "Y". The Journal is free access Journal and publishes papers free of cost.